‘Tis the season for everyone near and far to be starting to scramble and beat down the crowds to get that perfect gift for everyone on their Christmas list. The annoying holiday carols will begin to get on your nerves, and you’ll be wondering if this really is “the most wonderful time of the year”? If you’re like me, you want to avoid malls and busy stores during the holiday season. I love Christmas but the chaos of shopping ruins it for me, so I really try to do a lot of my shopping online and early! Uncommon Goods is a great online spot for just that. They offer gifts for basically any type of person in your life, even that person that “has everything”. 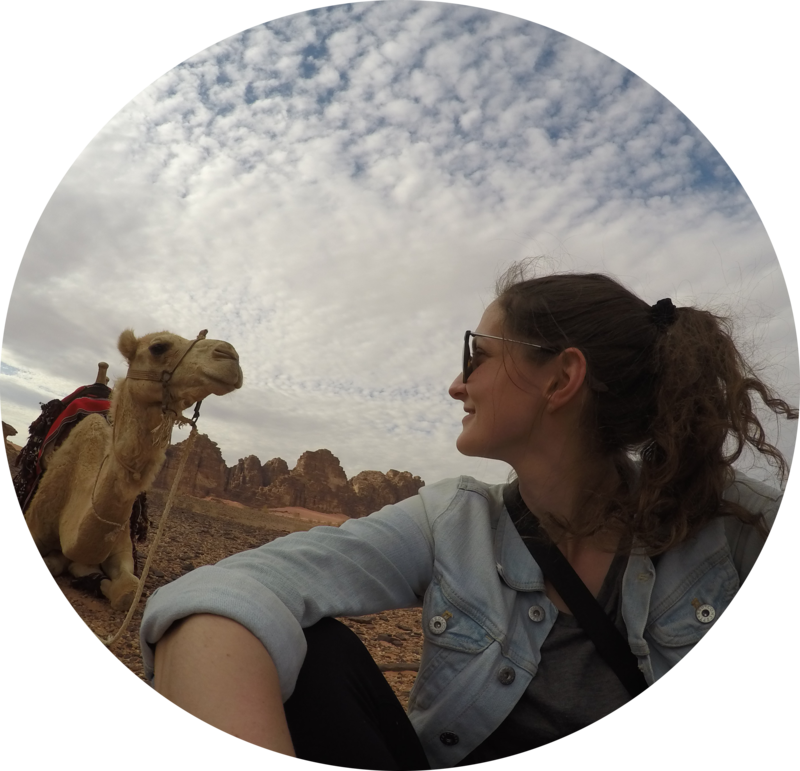 But one thing I love about their site is the selection of gifts that are perfect for those wanderlust seeking travel freaks in your life (like me)! 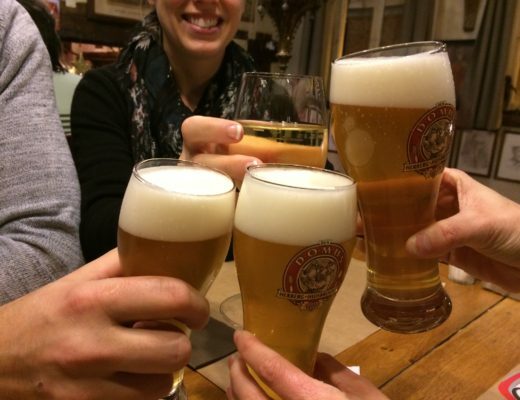 Here are some gift ideas for the traveler in your life or to add to your own wish list. This map that comes in a couple of different sizes is one of my favs, in fact, I have one hanging above the couch I’m sitting on right now. Essentially it is a gold and white map but as you travel and visit different destinations, you use a coin to scratch those places off! Packing cords for your electronics when traveling can be irritating. They get all knotted together, lost in the bottom of your bag or who knows where. 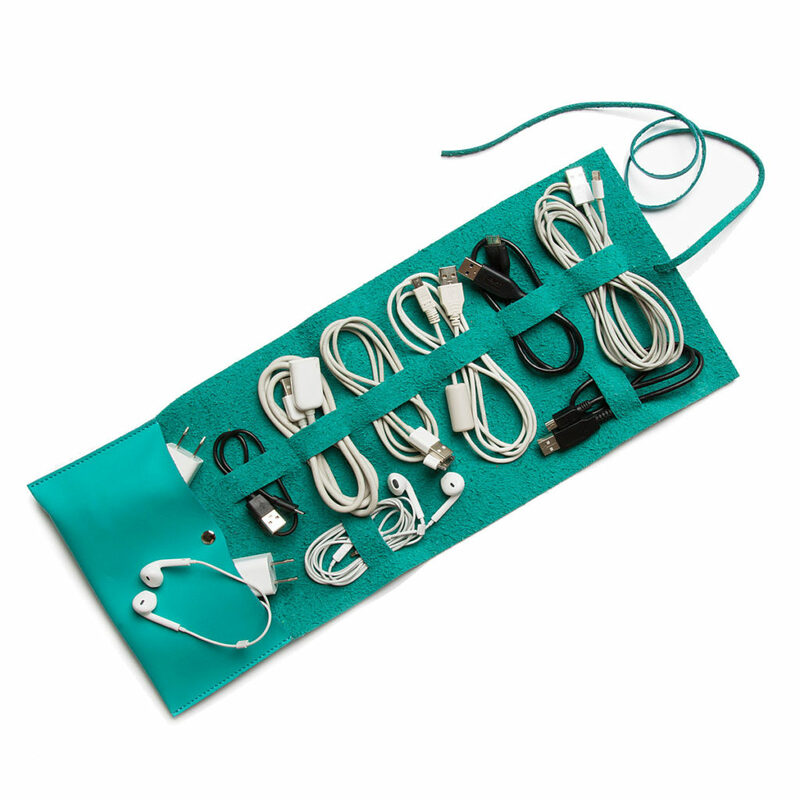 This vegan leather roll allows you to easily organize your cords in one, easy to find roll. When you travel you can’t always find an outlet to charge up your devices and even worse, you may not have the right convertor with you all the time. 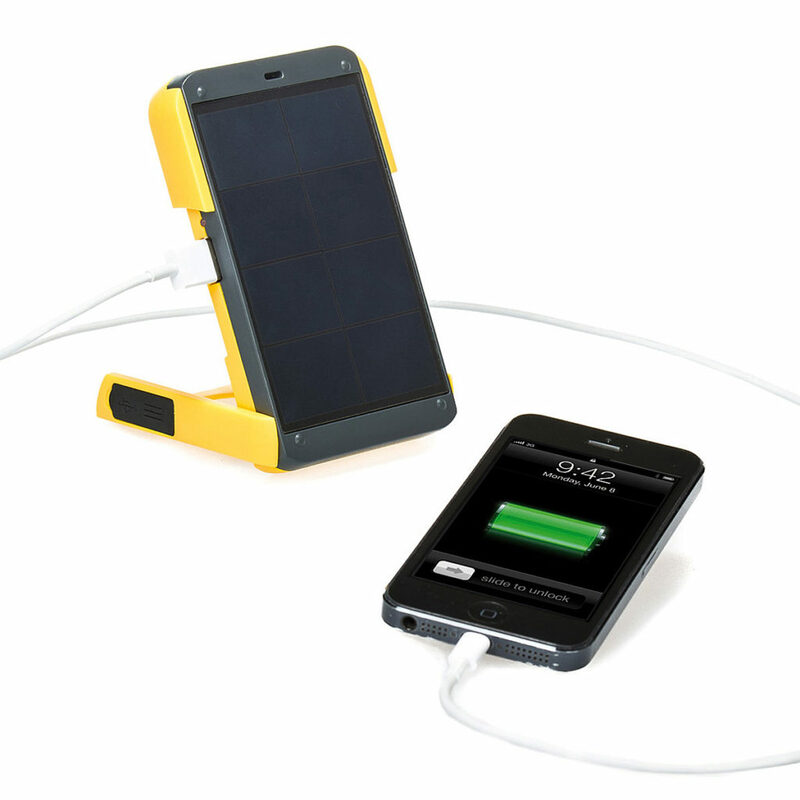 This charger is great because it’s solar powered and is compatible with any device via USB. Plus, it’s also a light! Relaxing while traveling can be hard and I love my essential oils I use in my diffuser at home except I can’t bring it all with me when I travel. This kit is perfect for traveling because it’s small, fits in a convenient bag and also even comes with oils! I LOVE these cork globes! 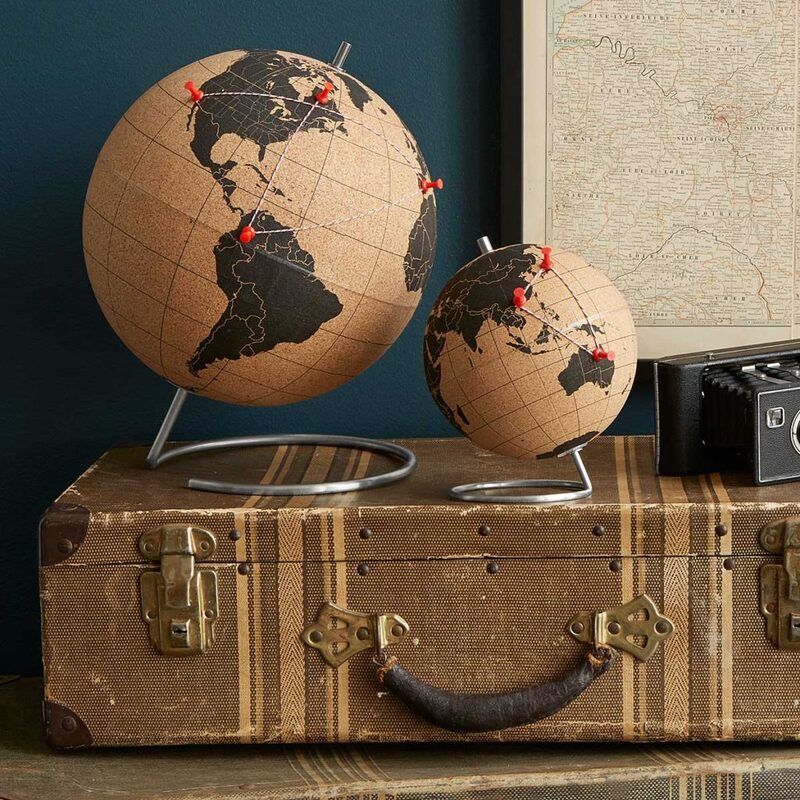 They’re super modern looking, come in a variety of sizes, and you can stick thumbtacks in to mark off all the places you’ve traveled or want to go. We’ve all done it, run out of clean underwear while traveling. 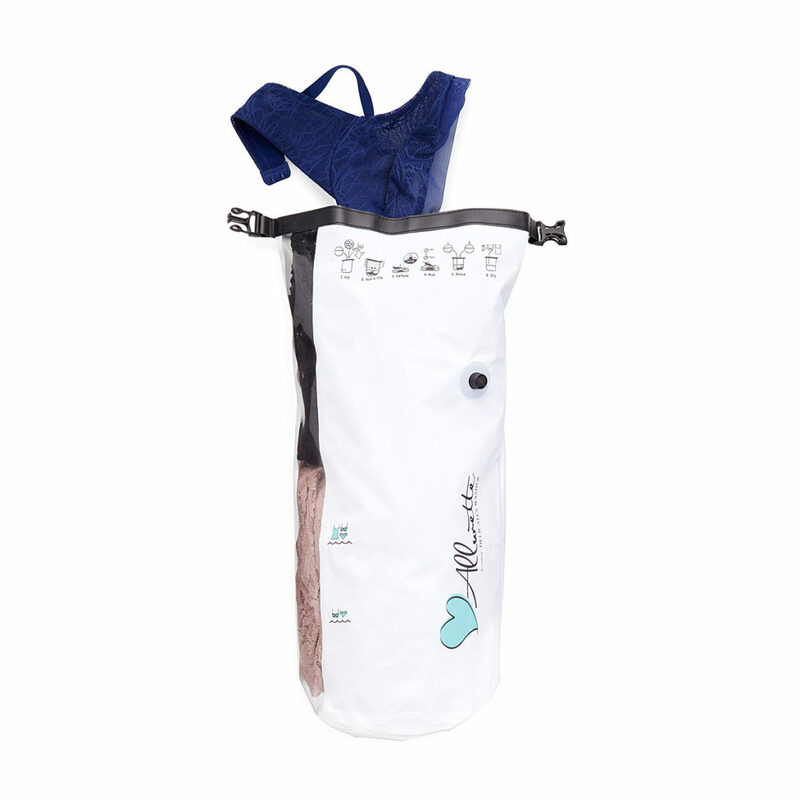 This bag makes it easy for you to clean a few pairs! All you do is add the water, detergent, your under garments and roll up the bag to wash away. Quick and easy! 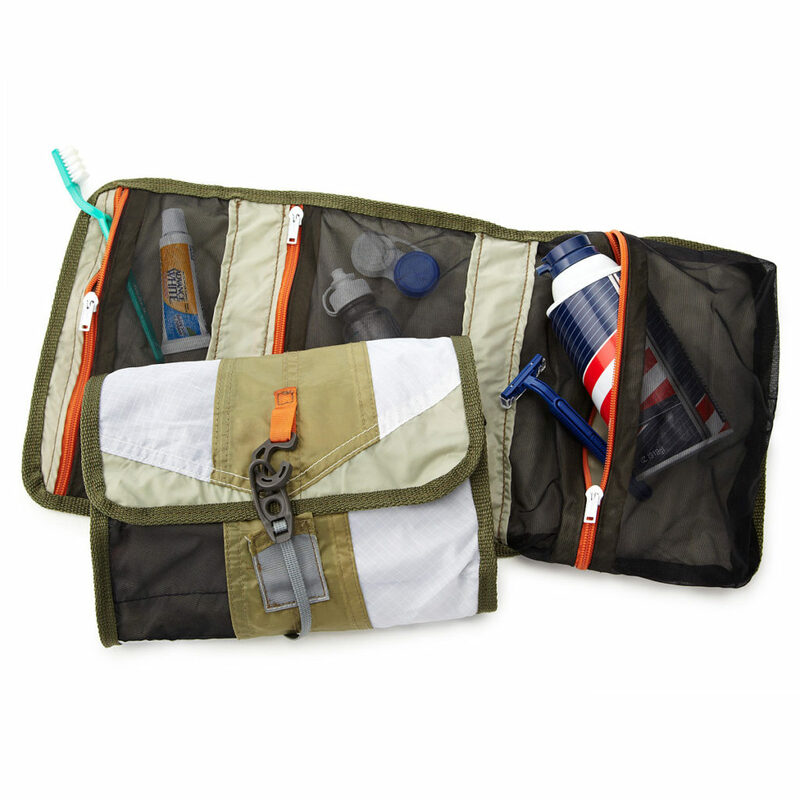 The perfect cosmetic case that’s made out of reclaimed fabric that isn’t used in the manufacturing of tents. A really unique and useful gift! 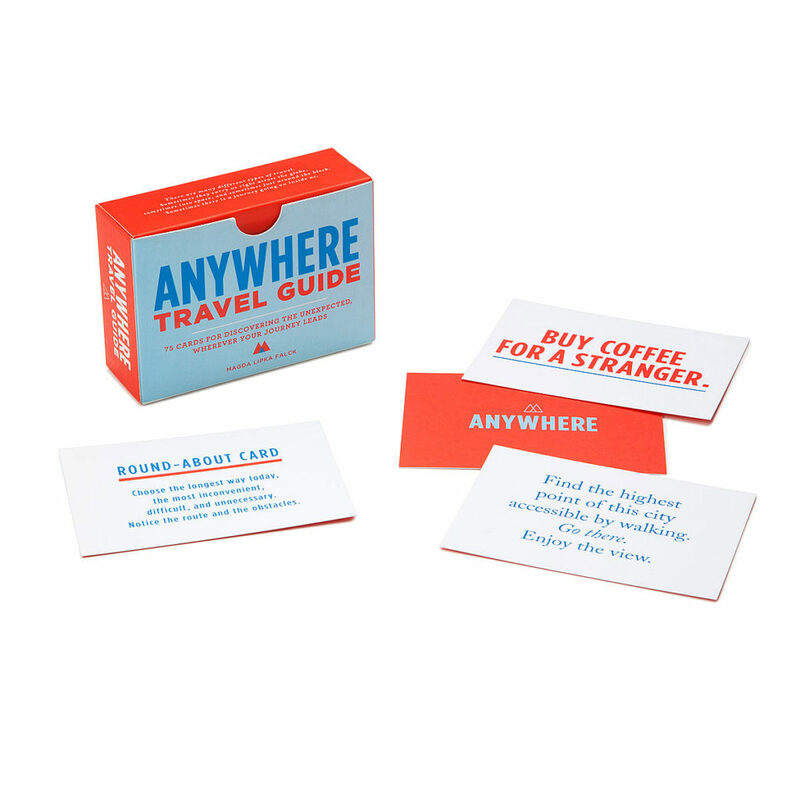 These 75 cards will spice up your travels in an unexpected way. Each card has an interactive prompt on it that will bring you on an adventure. I love carrying a reusable water bottle on me when I travel so I can easily fill it up and always stay hydrated. However, sometimes they just take up way too much room in your suitcase or bag! 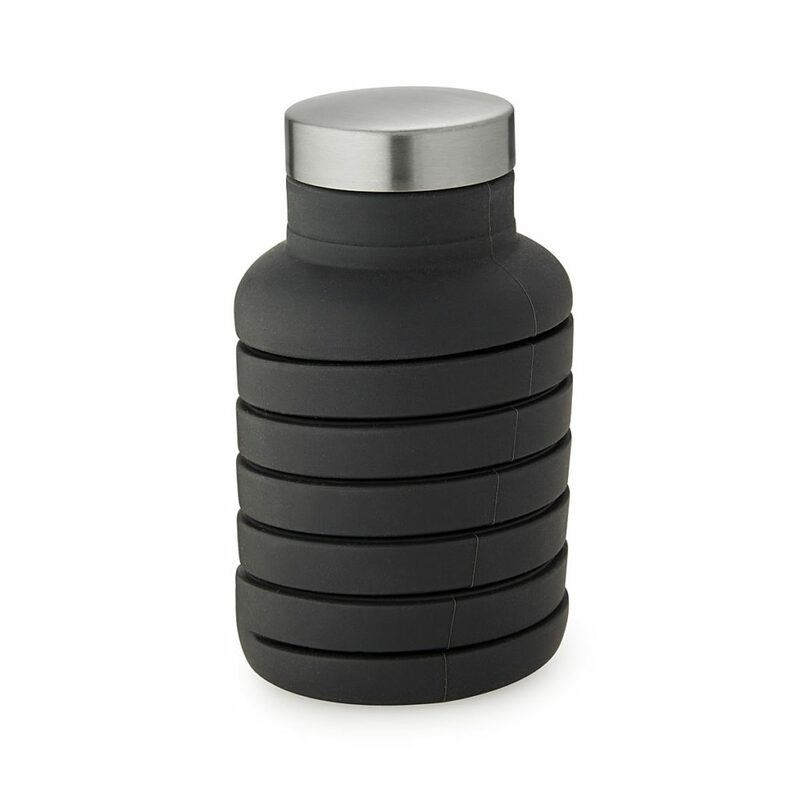 This bottle collapses when it’s not full which is perfect when you’re trying to pack light! 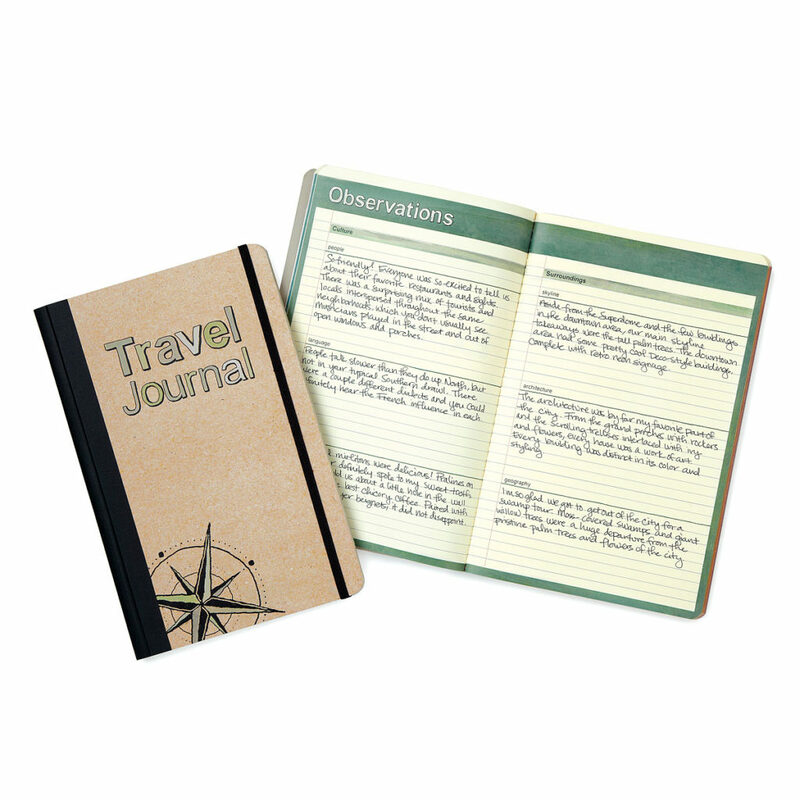 I think it’s really important to keep a journal when you’re traveling. 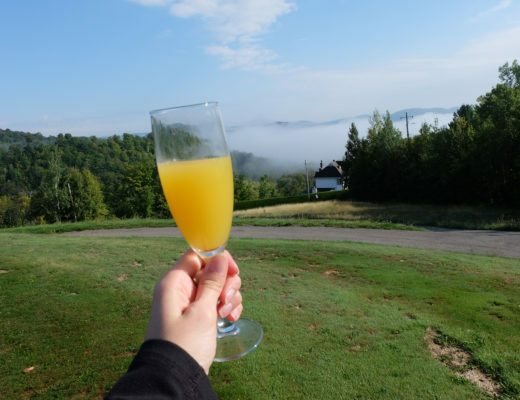 I love looking back on my trips and reading what I observed while exploring a new place, and lets be honest, we won’t always remember all those little details! This multipurpose blanket is perfect for the adventurer in your life. 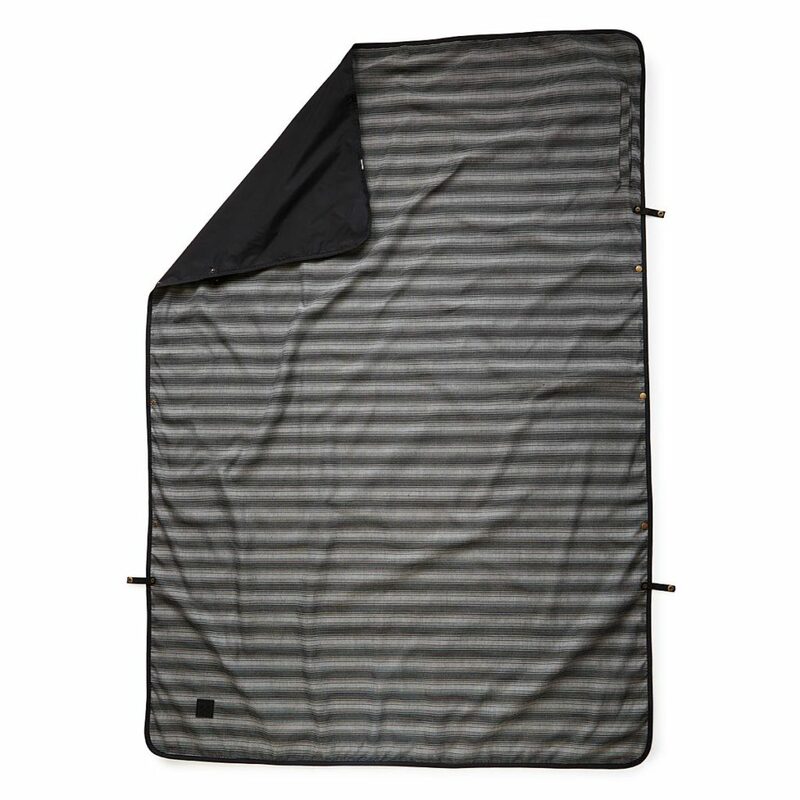 This blanket is water resistant like a tarp but is cozy and comfortable like a lightweight blanket. 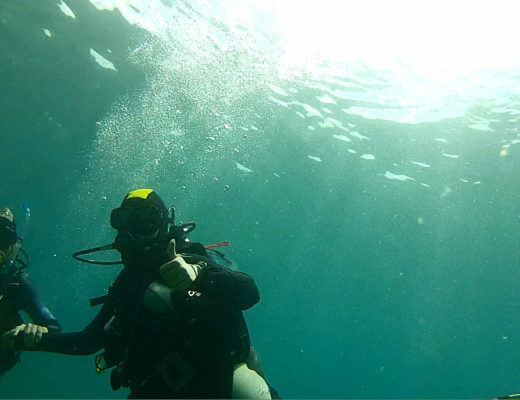 The material is made to withstand dirt, water and sand will disappear when you shake it. These super cute pouches make organizing and packing easy. I love to pack with packing cubes or bags like this because it makes it easy to find what I’m looking for in my bag, especially when I’m not completely able to unpack. Men’s version available. Who doesn’t love to have music on the road with them? Especially if you’re going somewhere where you’ll be on the beach or by the pool. 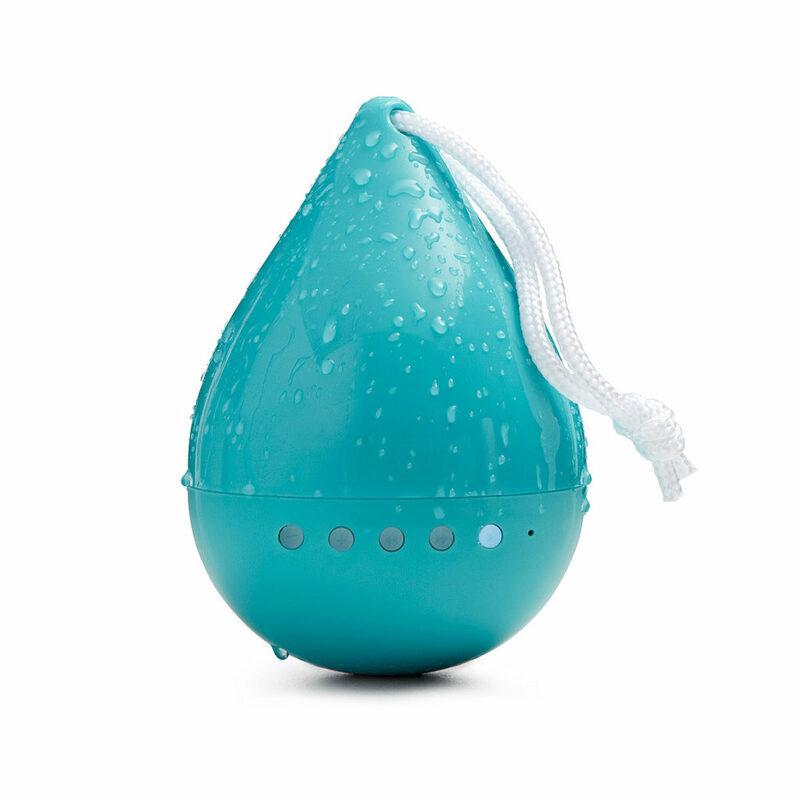 This waterproof speaker is the perfect travel companion.